He has a point. One of the mistakes a lot of beginning woodworkers make is cutting all their parts to the exact dimensions shown on the plans. Then as they assemble the project, they wonder why their joints have gaps or the parts don’t fit. But you really can’t work that way when working on a project. You need to start with the main parts that need to be what I call, “dimension controlled.” For example, on a cabinet, I would start with the sides, top, and bottom. Everything else including face frames, doors, and trim would be “cut to fit” the cabinet carcase. I often use an extra-long workpiece that’s ripped to width to layout and mark the piece to be cut. No tape or rule needed. But does that mean I never use a caliper or angle gauge? Nope. I’ll use a caliper when setting up my dado stack to cut box joints and to set the distance and width of the key on my box joint jig. This saves a ton of time making test cuts. And I’ll use an angle gauge to set the angle (tilt) of my saw blade when it needs to be exact. Sure, I could use my combination square, but the gauge makes it a no-brainer. So, to get back to the caller’s comments about the modern generation losing the notion of craftsmanship, I see his point. 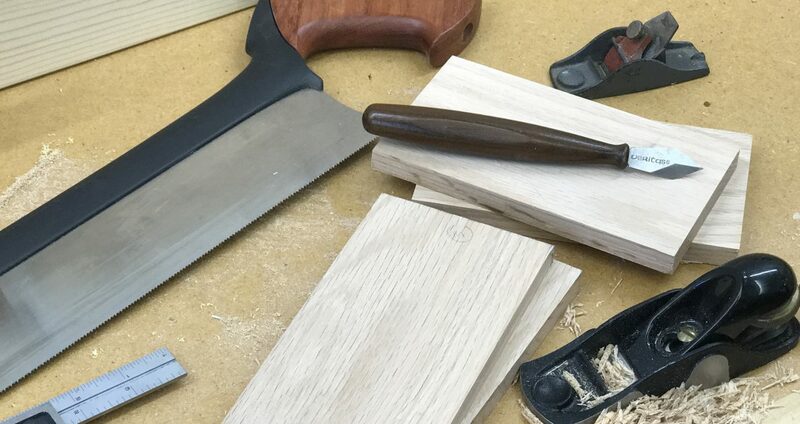 There’s a lot to be learned from traditional ways of doing woodworking with simple tools. But I have to think that if our ancestors had some of the “modern” tools we have today, they sure wouldn’t hesitate to use them. What are your thoughts? I’d like to see your comments. Read precise angles in seconds! Built-in super strong magnets securely attach the gauge to a saw blade so you can quickly and easily set the bevel angle to 0.1° resolution. Works great for miter s..
Posted on March 7, 2010 January 5, 2015 by Randy MaxeyPosted in WoodworkingTagged craftsmanship, Woodworking. Previous Previous post: What price woodworking?